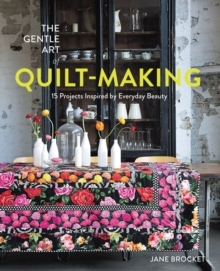 Now available in paperback, the bestselling The Gentle Art of Quilt-Making is a charming, inspirational and practical collection of 15 quilts for would-be quilters by leading author Jane Brocket. There's a Russian Shawl Quilt, inspired by traditional motifs of Russian folk art, a Floral Frocks Quilt inspired by summer dresses, flower gardens and herbaceous borders, and a Suits and Ties Quilt reusing sober woollen suiting contrasting with extravagant silk ties designed in an Irish Chain. A practical section covers all the knowledge needed to get started - from chain-piecing, hand-quilting and sandwiching to binding, storage and caring for your quilt. 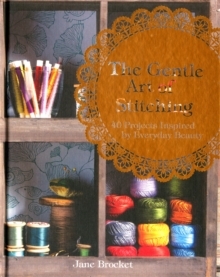 Armed with the design tools, you can embark on your quilting journey and begin creating your own personal masterpiece. 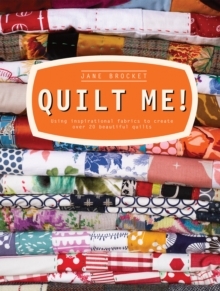 'Bravo to our amazing Jane Brocket who has such a distinct personal flavour and shares with us ways to play with floral fabrics.